Home » Galleries » Past Shows » 2017-2018 » Center for Faith and Life » "Sola Scriptura: Biblical Text and Art Celebrating the 500th Anniversary of the Reformation"
A part of Luther College's Reformation Festivities, the exhibit "Sola Scriptura: Biblical Text and Art Celebrating the 500th Anniversary of the Reformation," will be displayed in the upper level gallery of the Center for Faith and Life on Luther's campus from October 19 to December 3. To connect faith to its artistic expression, visitors are also invited to the October 31 Reformation Symposium, "The Reformation of Everything." The gallery and the symposium are open to the public with no charge for admission. 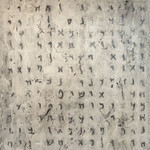 "Sola Scriptura" testifies to the inspiration of the Bible's words. The 49 works in the exhibition are divided into three 3 groups: Translating the Bible, Illuminating the Bible, and Picturing the Bible. Tracing the history of the Bible's influence, the collection features a single 1541 leaf from an early edition of Martin Luther's German Bible, emphasizing the widespread literacy that his translation encouraged. 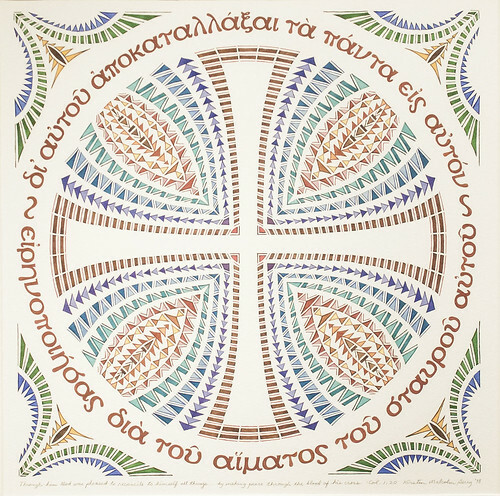 The exhibit also presents modern works including the calligraphy in Timothy Botts' The Holy Bible, which illuminates God's word for a contemporary generation. The work of David Kamm, Luther assistant professor of art and gallery coordinator, is included in the exhibit. 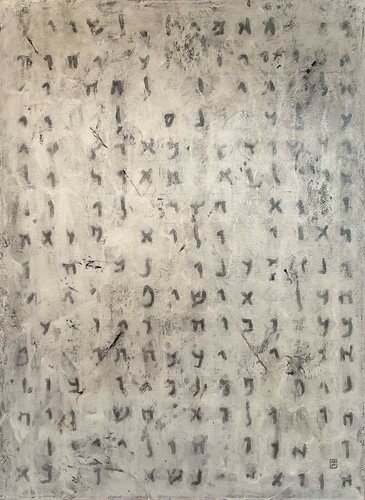 Kamm's work is created from deconstructed text that is reconfigured into a collaged cross form titled, "Unnamable Transforming Device (Squint)." "Sola Scriptura" is part of the Bowden collection, a group of traveling exhibits, which often highlights biblical subjects and can be rented by musuems, churches, colleges and seminaries. 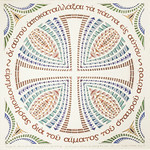 To learn more about the exhibit visit http://www.bowdencollections.com/sola-scriptura.html. Galleries maintained by Kate Elliott. Page last updated on 10 January 2018.